It has been a wild ride these past few days. The war between gamers, gaming professionals, and #GamerGate supporters has raged on in social media. It’s a flurry of threats, philosophical arguments, and general fear that has marked a rather dark time to be a gamer. Everyone is angry at someone, and we have all lost focus of the one thing that bound us as a community: our love of games. Instead, we have become wrapped up in a battle over harassment, corruption, and what social justice really means. So I set out, perhaps in an attempt to find my own peace of mind, perhaps in a misguided attempt to act as a savior or destroyer of the #GamerGate movement, and issued a challenge on Twitter. Well the response wasn’t golden. There were plenty of people saying they just weren’t going to talk about harassment at all because “that’s not what #GamerGate is about.” There were lots who said that it’s not #GamerGate’s responsibility to make it clear that they are anti-harassment. Others called me a troll and still others just flat out tried to insult me. “Ok so we have common ground. Good. Let's start from there. Why don't you support #GamerGate?” he responded. The ensuing conversation was actually quite productive. I spoke about how I am skeptical of the movement for several reasons. I feel as if the response to these scandals is several times more powerful than the response to, say, the old Jeff Gertsmann scandal over Kane and Lynch. I spoke about how people are using #GamerGate as a shield to justify their reprehensible actions toward others. Mostly, I spoke about how #GamerGate seems to be unwilling to take a public stand against that harassment and deplorable behavior. The response was once again, very productive. I was told that he, personally, wants to see Zoe Quinn and others completely left out of the discussion and left alone. He spoke about how he, personally does not agree with people who use #GamerGate for harassment purposes and that he wanted bullying on both sides to end. He stressed that civility and open discourse will eventually lead us to a resolution. Then, perhaps the most shocking thing of all happened. He retweeted my tweet. He openly said, as a member of #GamerGate that he does not support the harassment of Zoe Quinn. This was a very positive experience for me. It’s easy, especially on the internet, to believe that all members of a movement are evil simply for disagreeing with you. Heck, that was part of my problem with #GamerGate to begin with. I felt as if my disagreement with them was being framed as corruption, or being an illegitimate gamer. My questions and fears were shunned rather than addressed by #GamerGate supporters. But this one exchange proved that discussions can be had, and simple civility got us further than any amount of finger pointing and blaming could have. I’m not sure what I wanted to accomplish with this tweet but, what I did accomplish was the civil discourse of two people with vastly differing opinions, and that is worth something. As it stands, my tweet has only been retweeted 3 or 4 times, a mere drop in the bucket compared to the harsher posts of threats and harassment, and I still stand very skeptical of the #GamerGate movement, still not a supporter. But I was able to discuss and agree with someone who had a vastly opposing opinion with me. 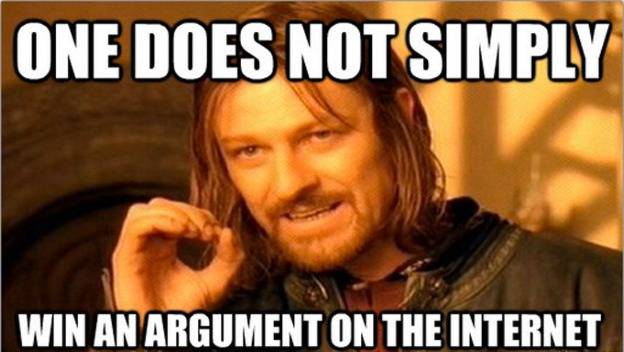 I was able to have a civil discussion… on the internet… on twitter no less! That has to be looked at as a giant step in the right direction. 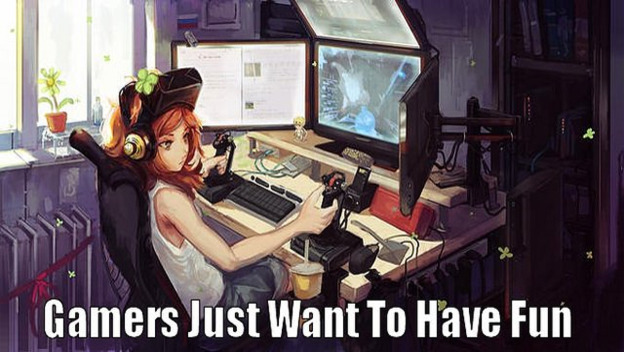 In the end, we gamers are still connected by our love of games… all games! From Call of Duty to Depression Quest, from Super Mario Bros. 3 to E.T. for the Atari 2600, games are what unite us. Maybe remembering that and treating each other like people, with honest preferences and differences in opinion, rather than curly mustached villains who are simply trying to pursue a political agenda, will help us eventually find a peaceful resolution to matters like this.